Pre-flight planning meetings and complete co-ordination of cargo operations. Making sure that the appropriate cargo handling equipment and crews are available. Arranging immigration formalities, hotel accommodation and all transfers. 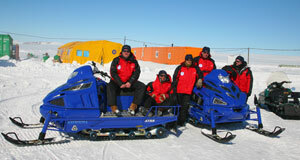 ALCI provide a full range of services for the flights from Cape Town to Antarctica. These include chartering suitable aircraft and helicopters when necessary, additional equipment for aircraft with required safety and rescue equipment, providing all necessary permits, licenses and insurance for this type of flight, handling of crew, passengers and cargo at Cape Town airport, supply of aviation fuel in Cape Town and Antarctica. 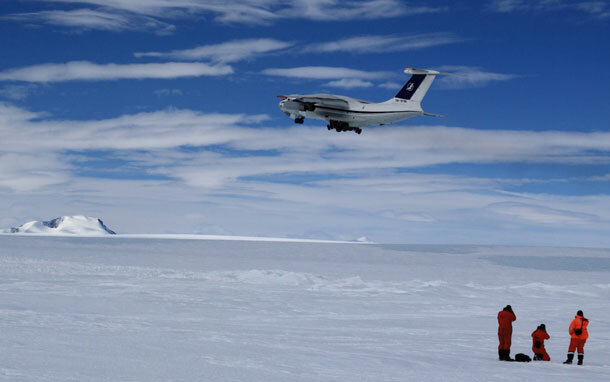 ALCI make sure that both aircraft and crew comply with all International standards on safety and operations and that aviation activity in Antarctica will not be detrimental to the environment. 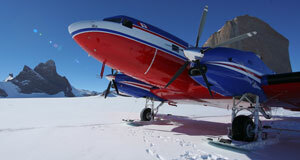 We are involved in the development of an Antarctic Aviation network and look forward to co-operation in this field. ALCI is able to provide a full range of services related to International Forwarding, Customs clearing, warehousing, as well as procurement and leasing. A detailed waste tracking system is implemented with the issuing of a “Certificate of Safe Disposal”. Treatment and recycling of waste will be carried out in a manner that minimises its impact on the environment and that there is no unauthorised transfer of waste from the control of the appointed waste management company. During 1995/96 we were co-ordinating the rehabilitation of the Novolazarevskaya Station as well as the cleaning of the Georg Forster Station together with the Alfred-Wegener Institute in Germany and the Arctic and Antarctic Research Institute in Russia. Our premises are fully equipped with all necessary means of modern communication and administrative work. We can also provide you with facilities for seminars and courses for expedition personnel, working space with full secretarial support printing and stationery. ALCI staff are all trained to handle any unexpected or emergency situations and will ensure that your Antarctic personnel are well looked after whilst in Cape Town. We take care of all public relations issues, lease with media, advertising and promotions agencies, create public awareness and stimulate support for different Antarctic matters including non-governmental activities within the guidelines of the Antarctic Treaty. On behalf of the Alfred Wegener Institute I would like to express our gratitude to the national operators of Argentina, Chile, Norway, Republic of South Korea, Russia, South Africa, and UK as well as to Antarctic Logistic Centre International (ALCI) for this very efficient co-operation performed in the spirit of mutual understanding." © 2019 ALCI. All Rights Reserved.